Billy even does some of my work for me on the album by explaining the intricacies of each song. In many ways the songs themselves don’t need explaining. Each one of them is an Australian story….stories about Australians. 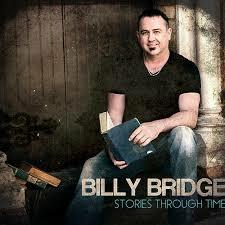 What I like most about this album is that Billy has written or co-written all of the songs. The songs cover a variety of Australian stories: the plight of the farmers, the ANZACS, Australia’s part in the Moon landing, the working class man, the state of the nation and the country’s economic situation to his personal story with Bec, Billy delivers us a very proud collection. I had only heard one song, If I Get to the Rainbow – and it was enough to make me want to hear more. As the Kazzie Awards (see post) will prove, it was one of the nominated songs this year. I heard Billy sing a few of the songs LIVE the other night and I was assured that my choice of purchase was a good one……a great one. Being a Tamworth girl and having spent most of my life in rural areas or with Dad having a farm on the side if we didn’t actually live on one, I can relate to many of these songs. Having had relatives and friends who have been ANZACS and even having been to The Dish shortly after the moon landing when I was a little girl, I feel like my story is being told too. Just Us: B Bridge – People who have never lived on and worked the land often don’t understand why people who do it, stick it out. Generation upon generation have run the family business. 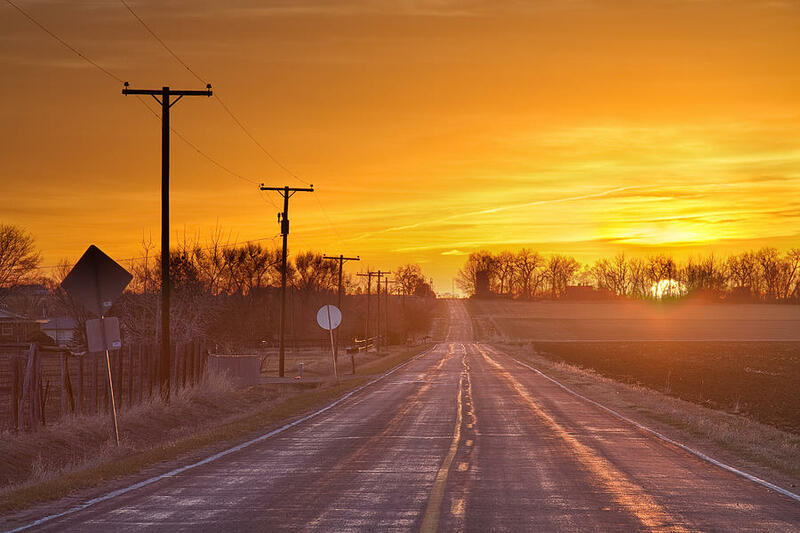 The thrill that you get out of a sunrise and a sunset, being your own boss and living off what you have grown and cared for is an amazing and often an indescribable thing. This song describes that feeling beautifully. Fluoro Collar: B Bridge – Billy wrote in his notes about the old terms of blue and white collar workers – the terms given to the working class and the upper class workers. The working class are now often in fluoro jackets. We see the guys all the time in lime and orange fluoro. Without the working class, we wouldn’t have the basic needs of life. I dips me hard hat to ‘em too. Ghost Town: B Bridge – Big industries bring jobs to small towns, offer jobs and hope and a future and then get sold and a town goes back to sleep and people have to move on. There are too many ghost towns in Australia, some can be revived but others just lie in wait or are closed for good. The Ring: B Bridge – This is a true story about a certain Rat of Tobruk. It could be the story of many soldiers. My friends told me about this song, knowing that I would like it. Of course I do! The last few years, we have heard many war songs. This is one of the finest. Heartbreak Town: F. McHugh/B. Bridge – Most of us who have lived on the land have endured drought. Australia is a land of extremes. It can flood one year, have fires rush through it another year and have a drought the next year. Sometimes it snows, sometimes it hails, sometimes we get a cyclone. Drought is one of the most devastating conditions that farmers endure, and in turn other businesses – close by and far reaching – are effected too. Man on the Moon: B Bridge – Reg Lindsay sang about Neil Armstrong, the guys that brought you The Castle brought you the movie: The Dish, now Billy sings his version of The Dish. That July Afternoon in 1969 (I was 6 and a half), was brought to you by our humble little dish in the middle of a paddock in Parkes. I went there when I was about 7. Terrific song that brought back memories. 21 Candles: B. Bridge – One of my favourite songs on the album. Essentially about how families sometimes have to be left behind so that the parents/parent can go off to work somewhere else to earn money for the family. Sometimes for short periods, sometimes for long ones. My Dad had to do this sometimes and Mum had to hold the fort. It was hard sometimes, but we knew why Dad had to do it. We didn’t light candles to mark the days off, but it would have been a great idea. As we took the cattle home: B. Bridge – This is about the men in Victoria’s High Country and how the pollies are attempting to destroy their way of life. This is where music can do its best….spreading the message through song. We Knew: B Bridge/R. L. Nye – Careful guys, you will become the Tim and Faith of Australia with songs like that….probably the best compliment that I can give you. Can’t wait for your album too, Bec. The most personal song on the album. Kazzie nomination worthy! I’m proud to be an ANZAC: B Bridge – People can say that there have been too many songs and too many books about the ANZACS in the last few years, but these men and women did so much for us, allowed us a lot of the freedoms and choices that we have today. They sacrificed the lot for us. There are never enough ways to say thank you and to honour them. Deliver the thrill: B. Bridge/B.Bergen – There are those who have lost their homes on gambling on a horse, those who believe that horse racing is cruel to the animals, but for those who actually know about horse racing, about the people who care for and love those horses like their children, they know better. There is risk with every sport. There is risk with walking across the street every day. The magic that the Melbourne Cup provides all over Australia, the way that it inspired through the Phar Lap years, the crowds that just watch for the colour, the action and the beauty of a horse, they know the thrill. Co-written by Kazzie Award winning musician of the year, Brad Bergen. If I get to the rainbow: B. Bridge – In my opinion, one of the best songs of the year. Technically, it is about farmers working and hanging on to the dream, but it is essentially a song about dreams and having the courage to stick it out through the good and bad times, no matter what. Songs with a rainbow in them always win me over, anyway! Billy has assembled quite a cool and tight band here, with some of the best in the country. I love Jennifer Cook’s tin whistle and Dave Cox’s sax. Tim Crouch does a wonderful job as do all of the musos. Beautifully produced by Mick Lockhart and mastered by Michael Carpenter, this is an Aussie gem. Well done, Billy. P.S. Any album that has books on the cover and has stories in the title, will do this old librarian and would-be writer proud any day!